2 Wives 2 Mums: Our first family festive season! Our first family festive season! 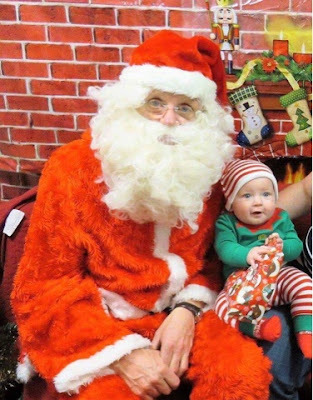 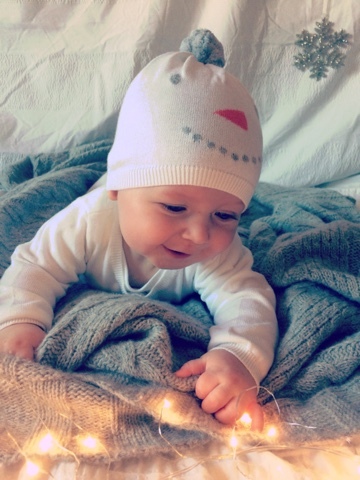 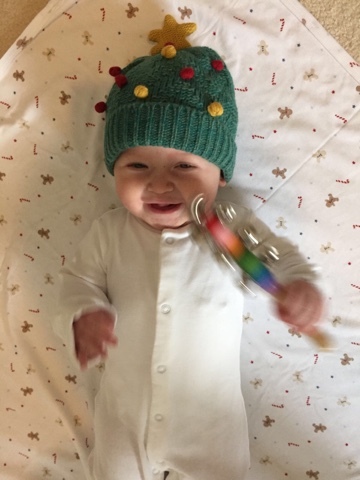 When we were 'TTC' (trying to conceive), like most other couples trying to create a family, our child's first Christmas was something we dreamed of a lot. 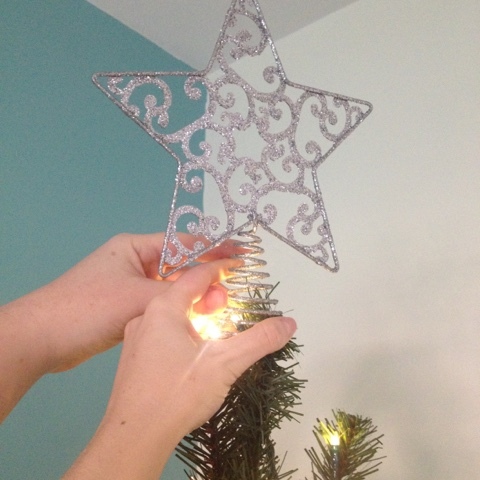 Of starting and continuing traditions, and the first of many years of magic. 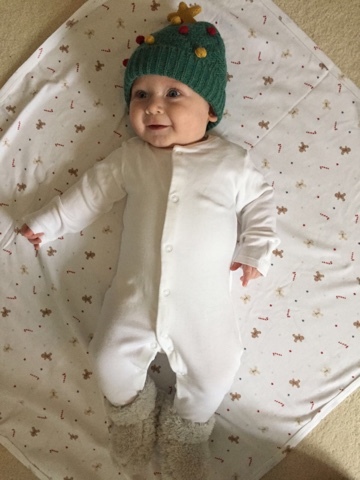 Last Christmas Lauren was pregnant - we went for our 12wk scan, and announced our news to the world - and now we find ourselves enjoying Christmas with a six month old! 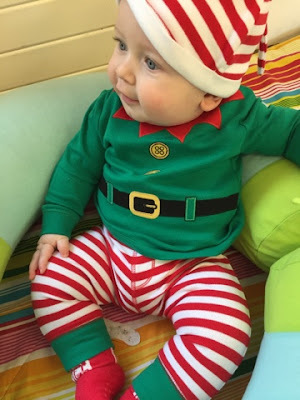 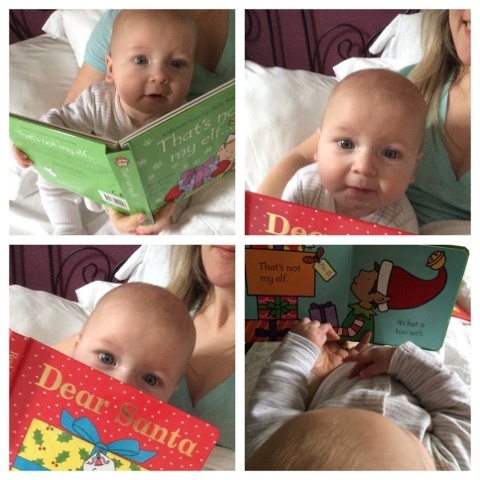 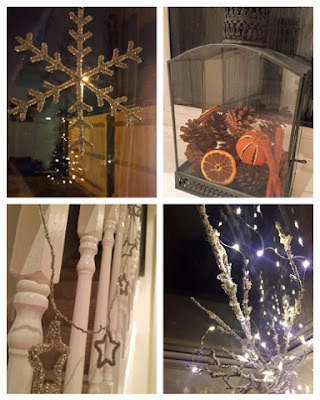 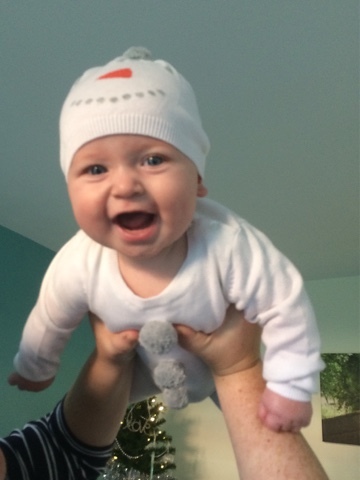 Here is what our first festive season as a family entailed. 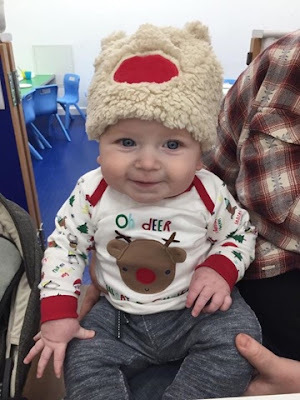 We have been on so many Christmassy outings with family - we usually try and go for afternoon tea or a trip into town with people a couple of times, but now we have Oskar it's been nice to spend even more time with everyone. 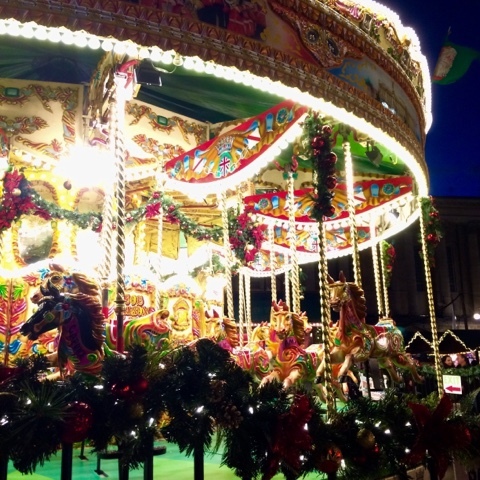 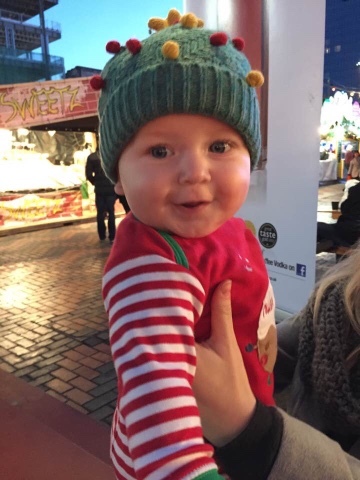 We visited our city's Christmas market several times with Oskar, as he really enjoys the lights! We made sure to go during quieter times, so it was really lovely to have a stroll along the stalls with Oskar in his pram. 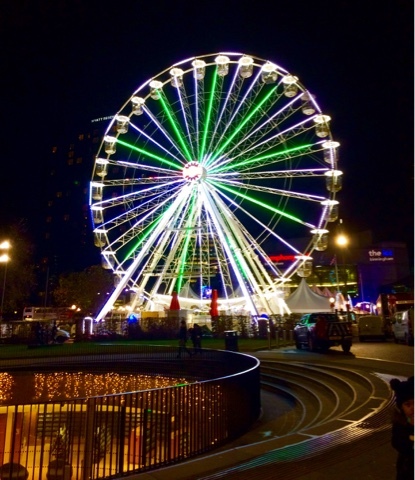 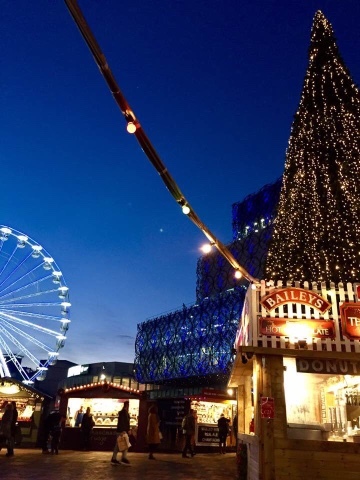 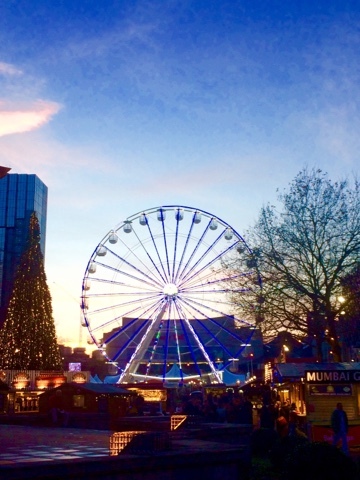 It has made for some really enjoyable outings with both of our families, but our favourite was just the three of us, when we sat by the big wheel and got hot drinks, with Oskar awe struck by the lights. 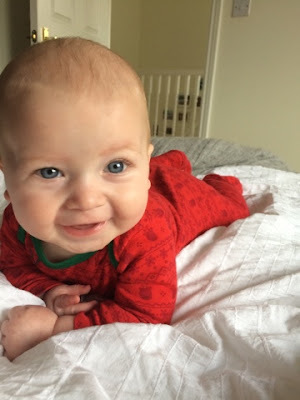 His giggles are the best! 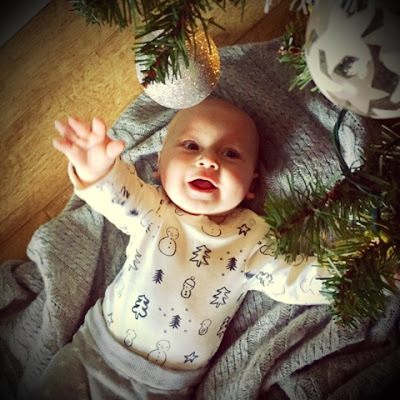 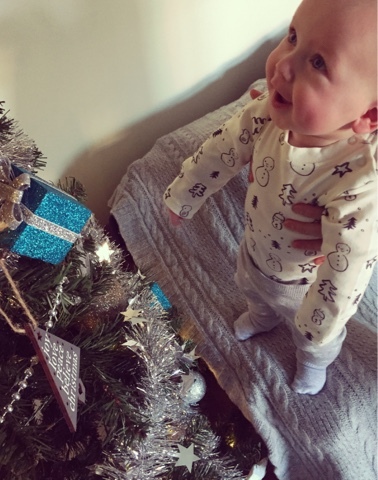 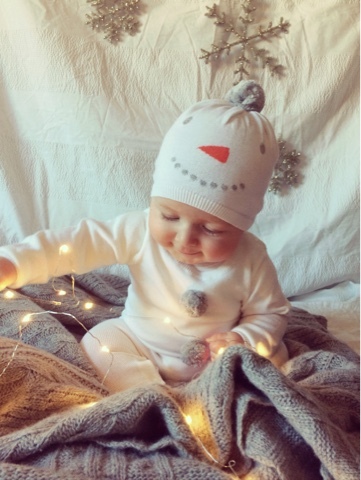 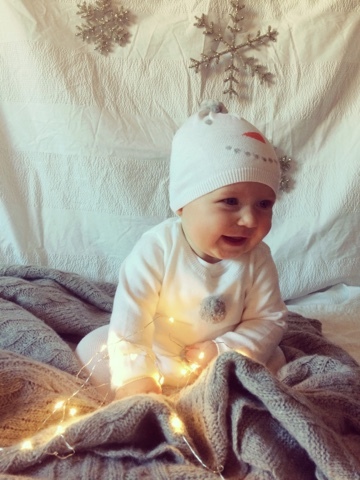 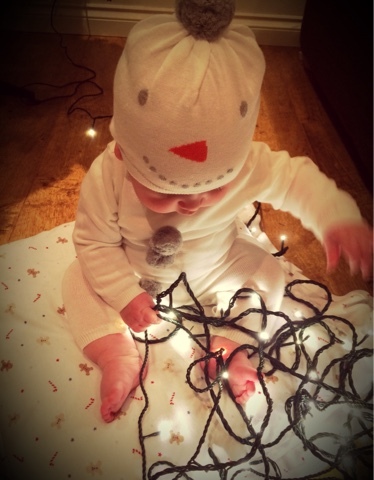 As Oskar loves fairy lights so much, we were looking forward to seeing his reaction to a Christmas tree! 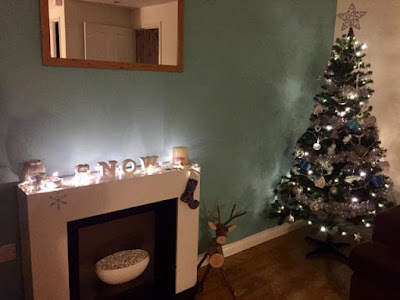 So much so we even put our tree up a few days before our usual 1st December. 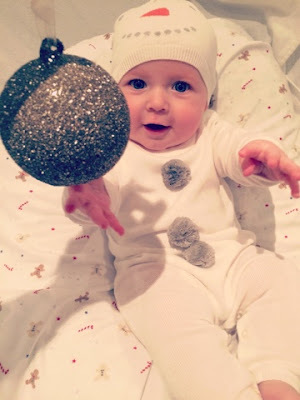 As expected Oskar absolutely loved seeing the different shapes, reaching out for baubles, and gazing at the lights and glitter. 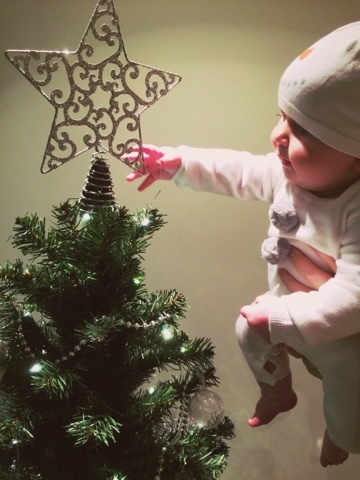 We usually have a second tree in our bedroom, but didn't have room for it this year due to our cosleeper cot! 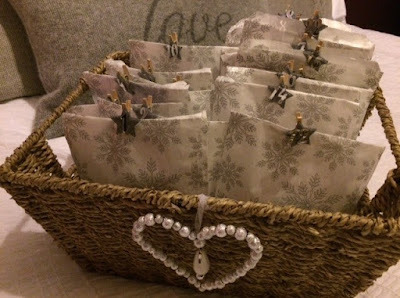 We did however make sure the rest of the house was still as festive as ever, and still made time to make our advent calendar - December means daily chocolate! 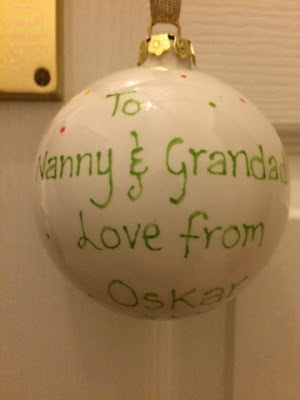 Not satisfied with all that decorating, we visited local business Time To Kiln, who make beautiful ceramic decorations. 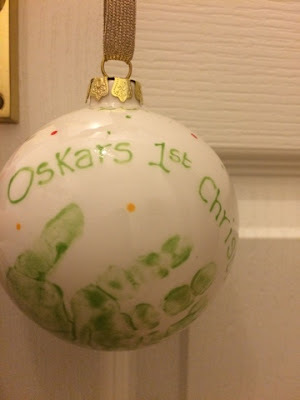 We had great fun making baubles with Oskar, and took home a decoration for our tree, as well as Christmas presents for our parents too - all featuring Oskar's tiny handprints! 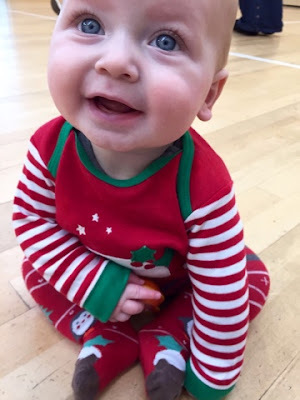 Oskar has loved getting into the Christmas spirit, and we have had so much fun with him - from Christmas stories, Christmas blankets, Christmas additions to his sensory play box (jingle bells are one of his new favourite things) and a festive wardrobe we are quite jealous of, it's definitely felt a LOT like Christmas in our house! 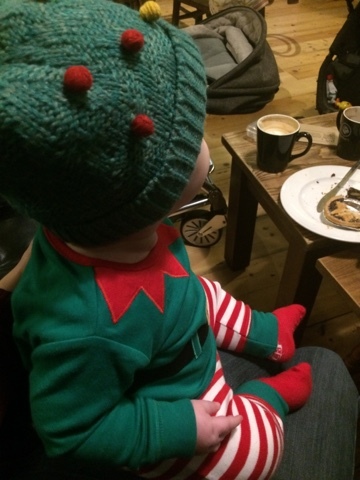 After meeting the big man himself, the three of us went for Christmas coffee and cake. 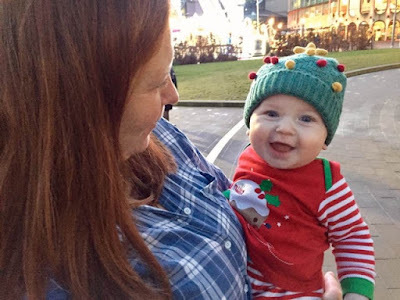 Lauren goes for coffee and cake with her mum and sister every Friday, but every year, as close to Christmas as we can manage, we meet up with them for a Christmas version! This year was extra special as we had our son with us, as well as our two nieces. 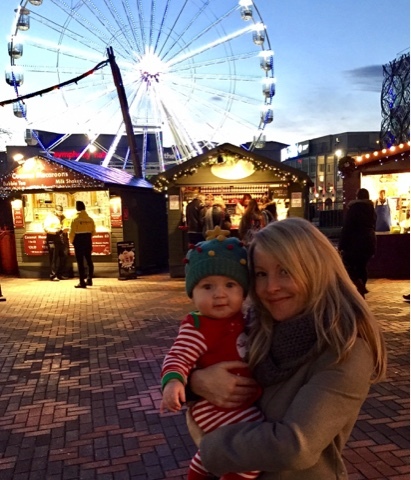 Last year Lauren was 14 weeks pregnant, and Lauren's sister just had one daughter, so it was lovely to see how much has changed in a year. 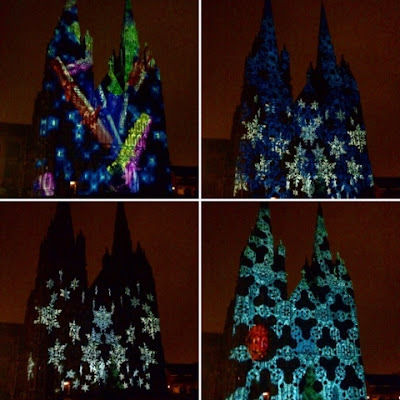 Our final Christmas outing was to Lichfield cathedral, where Lauren's dad had bought the whole family tickets to Luxmuralis, a music accompanied light show projected onto the side of the cathedral. 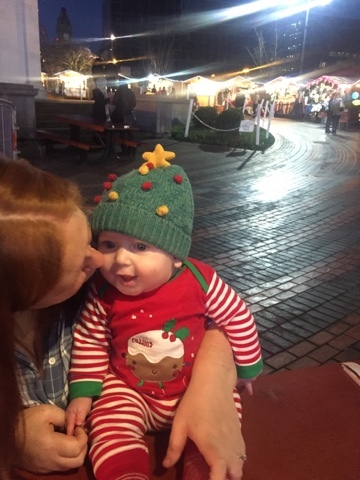 We weren't really sure what to expect, and were a little worried about standing outside in the cold, but we were all amazed by it! Featuring swirling snowflakes, clocks ticking down to Christmas, dancing candy canes and a firework show amongst many other things, the 30 minute show passed by in what seemed like a few minutes and had us all transfixed, even Oskar! 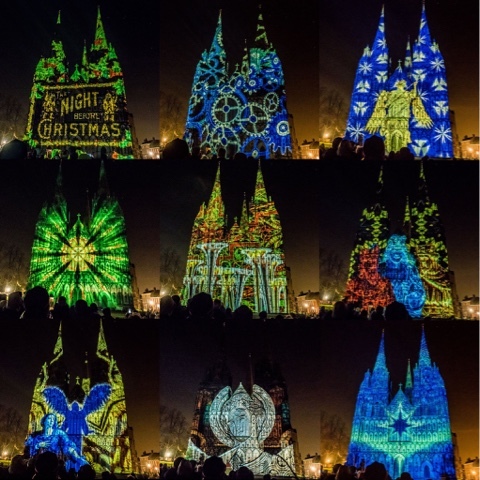 Afterwards we could walk through the cathedral to view the numerous Christmas trees that had been donated by various local businesses. Although Lauren and I are not religious, we had a really lovely evening, and felt very festive indeed! 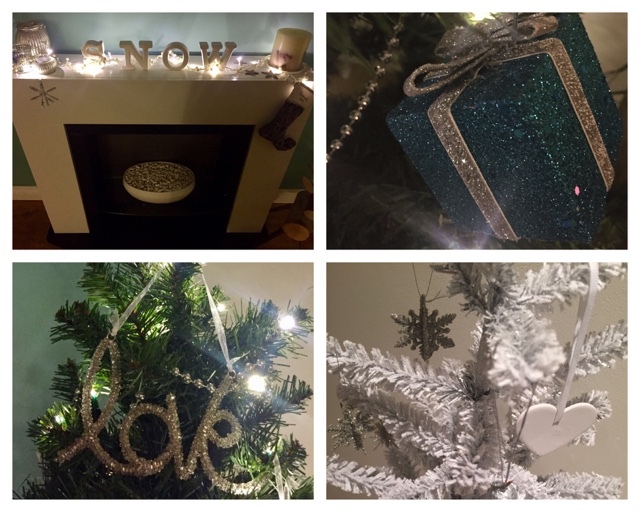 We are having such a wonderful festive time as three, and have made memories that will last forever - and now all that's left to do is wait for Santas arrival!